Situated near the beach, this luxury vacation home is 11.2 mi (18 km) from North Byron Parklands and within 20 mi (32 km) of Tropical Fruit World and Fingal Lighthouse. 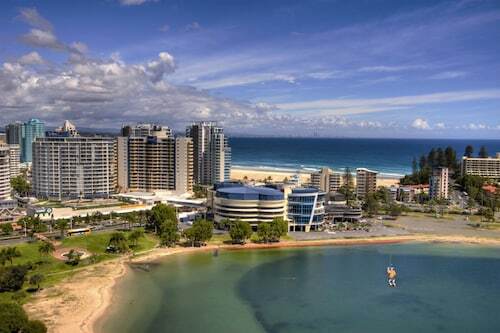 Coolangatta and Tweed Heads Golf Club and The Tweed Hospital are also within 20 mi (32 km). Offering direct access to the beach, this Pottsville vacation home is 10.6 mi (17.1 km) from North Byron Parklands and 11.1 mi (17.8 km) from Tropical Fruit World. Coolangatta and Tweed Heads Golf Club and Fingal Lighthouse are also within 16 mi (25 km). Considering a trip to Pottsville? There are just 3 available hotels within 5 kilometres of the town centre. Try to take a look at the Hastings Cove Waterfront Holiday Apartments and Pottsville Beach Motel. All these places to stay are not far from the main hustle and bustle. Murwillumbah is a popular area that is situated 19 kilometres from Pottsville's centre and boasts 5 accommodation options. The Poinciana Motel, Econo Lodge Murwillumbah, Murwillumbah Hotel & Apartments, Tweed River Motel and Murwillumbah, Mt. Warning Backpackers YHA - Hostel are amongst the hotels in Murwillumbah. For more options, checkout the Shirley Beach Houses and the Amala Villa. They are located 30 kilometres and 30 kilometres respectively from the main center. Some more alternatives are the Drift, 30 kilometres away, and the Beach Suites, 30 kilometres. 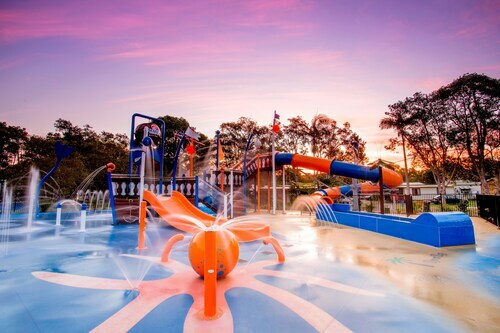 After you've had fun in Pottsville, ensure you allow time to enjoy more of Northern Rivers. Northern Rivers offers beaches, as well as common Northern Rivers attractions like the art galleries and craft workshops. In this region of Australia, tourists might also go mountain climbing, hiking and horse riding. 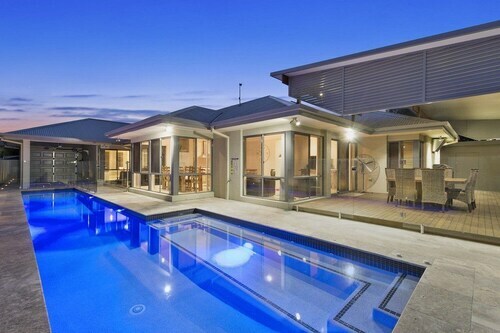 The nearby cities of Casuarina and Yelgun are certainly worth going to. Casuarina is 10 kilometres to the north of Pottsville, while Yelgun is 11 kilometres to the southwest. Hotels and apartments in Casuarina include the Peppers Salt Resort & Spa and Santai Retreat at Casuarina Beach. The Ocean Shores Motel and Crabbes Creek Cottages are some of the choices in Yelgun. If you are into sports and want to watch games, you could visit Mallawa Drive Sports Complex, which is to the north of Pottsville. 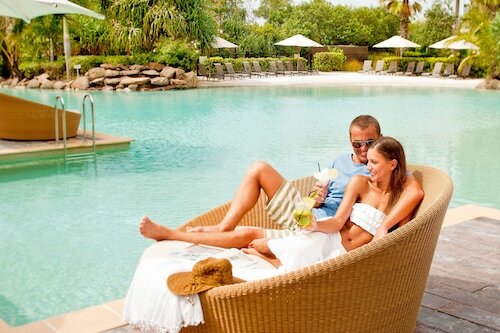 To stay close by, make a reservation at the Sanctuary Beach Resort or the Little Cove Currumbin. Situated 25 kilometres from Pottsville is Coolangatta Airport. Stay nearby at the Reflection on the Sea or the Reflection Tower Two. How Much is a Hotel Room in Pottsville? Hotels in Pottsville start at AU$141 per night. Prices and availability subject to change. Additional terms may apply. Loved the rooms. Great having a separate bedroom..
Had a lovely stay, everything was excellent including staff and amenities.